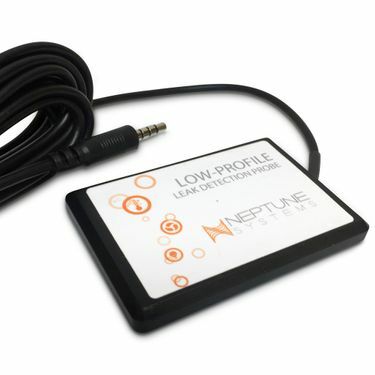 Neptune Systems Leak Detection Probe for use under carpet Upon contact with water this probe will communicate to your Apex and alerts or other actions can then take place. Plug this probe into your FMM and then place it underneath your carpet near your aquarium. Upon contact with water this probe will communicate to your Apex and alerts or other actions can then take place. Don’t have carpet, see the next probe listed here. Note: The LD-1 will only work with the FMM and cannot be used with the ALD module. LD-1 has not been evaluated yet.